Our Parkland™ Genuine Woods are precision crafted from the finest North American hardwoods, including genuine oak and cherry, and display beautiful natural grain and color variations. 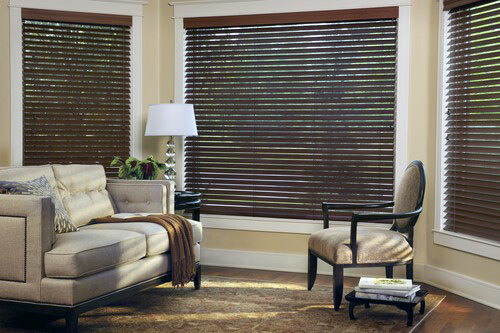 Get the look of shutter louvers with the efficiency of a blind. The wide, 2.5” beveled slats of Parkland™ Reflections® wood blinds lend distinct style, finished with beautiful stains or paint colors.